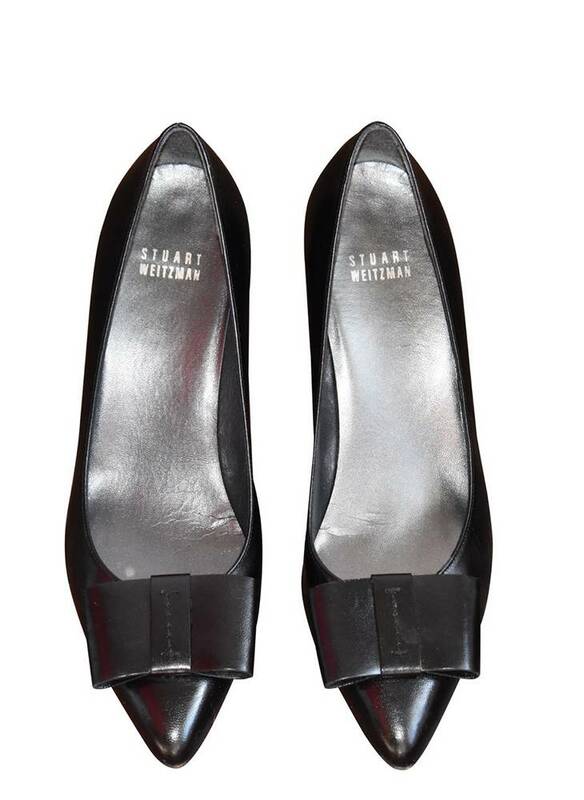 Stuart Weitzman black leather pumps with pointed toes and leather bow accents at uppers. 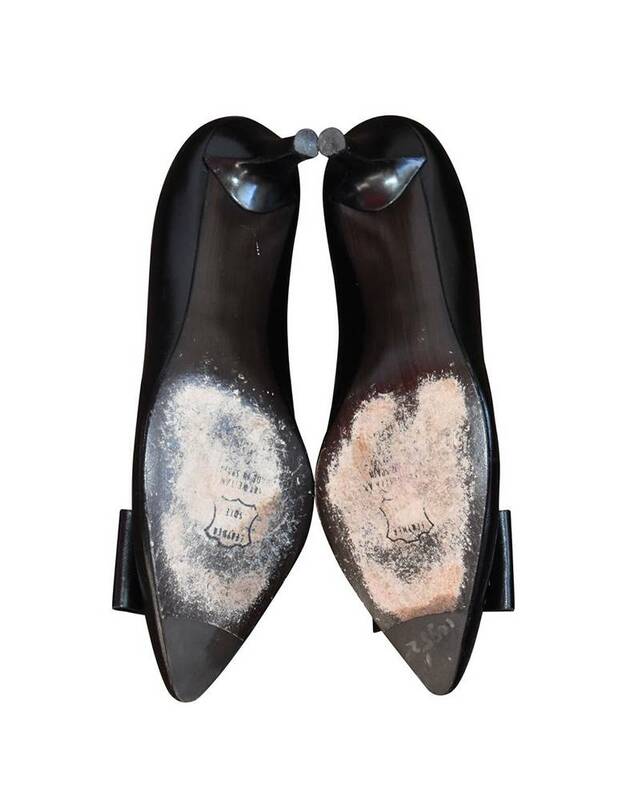 Tonal stitching and covered heels. 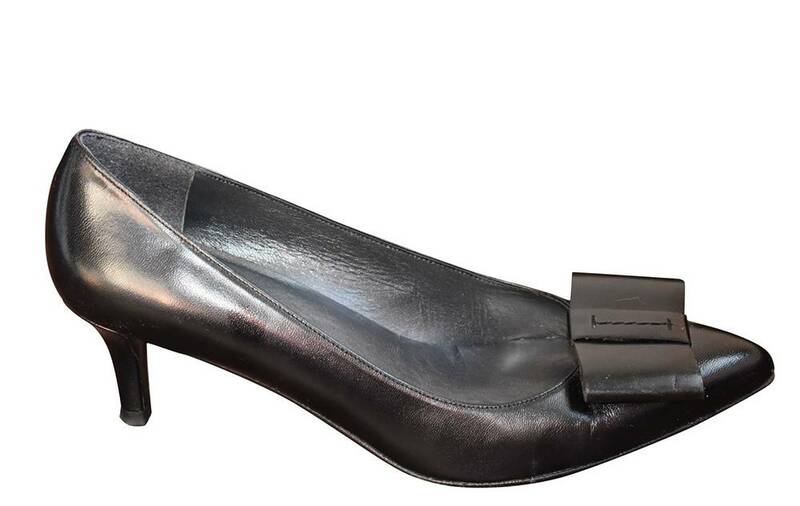 Lightly padded inner sole, leather outer sole.